K812, Studio headphone from AKG. 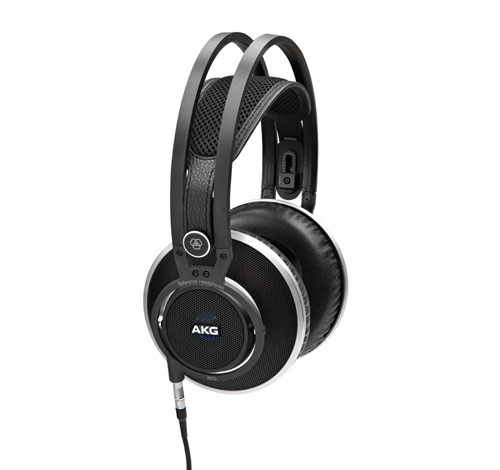 AKG will soon launch the new K812 high-end headphones designed for studio professionals. The K812 are a circum-aural open-backed headphones equipped with 53mm diameter drivers, the largest manufactured by AKG, with neodym magnets providing a 1.5 Tesla magnetic field, a dome that, according to AKG, allows for the membrane to support wider movements than traditional models, and a special-designed diaphragm. The impedance is 36 Ohms and AKG adds that, though the K812 are primarily designed for use with an amp, they can also be used with portable devices. 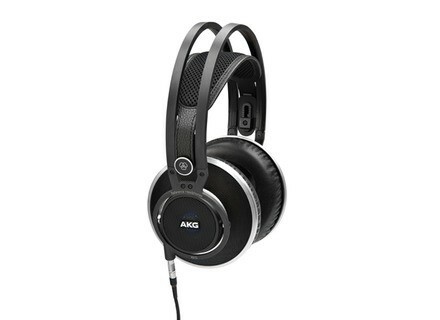 The AKG K812 feature an aluminum structure, elliptical-cut earcups with round faux-leather cushion. A removable 3m cable is included. The AKG K812 headphones will be available in november, for £1000 approximately. It will ship with a wooden support. More info soon at www.akg.com. Reminder: BeyerDynamic My Headphone Contest You have three more weeks to participate in the BeyerDynamic Custom Pro One design contest and try to win one of the three models for AF. New Sennheiser HD-26 monitoring headphones Sennheiser unveiled at IBC 2013 its new generation of headphones for broadcast and studio applications, including the HD-26 Pro. Win customized Custom One Pro headphones BeyerDynamic launched a Custom Pro One design contest and gives three AFanziners the opportunity to win these headphones.